Our name does not mean 2 Kilometres as many people believe. It comes from the German words 2 Komponenten Maschinenbau, which in English means Two Component Engineering. Confused? You can just call us 2KM! The story begins in Germany, in 1976, where two friends partnered up and started building robust and innovative machines to improve existing production processes. 38 years later, still a family oriented company, we are able to provide solutions worldwide. With five main sites and many distributors globally, we keep expanding while remaining loyal to our values of excellent quality and human approach. 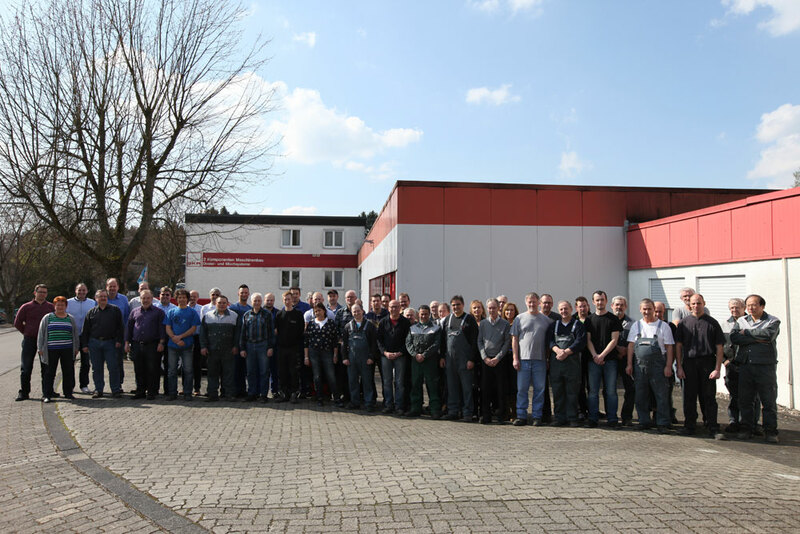 Based in Marienheide (60km east of Cologne), the 70 members of staff work hard to maintain the quality and performance of the best adhesives metering systems in the market. Innovation is reflected in the development of the new systems and with the help of distributors across Europe, there is no country that 2KM cannot help advance their process. Founded in 1998, 2KM (UK) Limited, based in Bromsgrove, Worcestershire started from a handful of people and has grown significantly through the years. In 2012 new, bigger premises were acquired to accommodate the continuously growing number of projects and team members. The successful gear pump systems Process Gear Mix are now manufactured in the UK. The powerful team of 15 manages a growing number of customers’ portfolio in almost every market. ✓ Experience: With 38 years and counting of research and development we are always up to date with the latest manufacturing developments. ✓ Knowledge: We have worked with extremes of material behaviours and process requirements across multiple industries. ✓ Customisation: Long standing experience and solid knowledge have equipped us with the ability to adjust the standard machinery to specific needs. We take the time to understand your business and give you the solution to advance your process. ✓ Reliability: Our machines deliver and are guaranteed to be free from defects. With some support from our superb after sales and service department they keep performing for many years making a 2KM machine a sound, risk free investment. ✓ Dedicated people: Our committed staff enables us to be the best. Above all, we love building the best machines out there! We enjoy giving solutions where no one else can. Give us the material and application and we will do the rest.